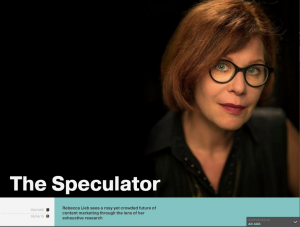 Rebecca Lieb sees a rosy yet crowded future of content marketing through the lens of her exhaustive research. Content: A year ago you said that the future of content marketing tools will be in stacks that accommodate everything from content creation to compliance. Teradata provides software for these types of solutions. Where are we at now in that evolution? Rebecca Lieb: When I started doing this research in 2014, in the six months it took me, I saw the software landscape increase from about 80 companies to about 150. Now there’s well over 200 companies in the content marketing software space—and there would be even more if the big players like Adobe, Oracle, and Salesforce weren’t buying some of them up. So there’s tons of activity on the product development level and we’re seeing some of these players get very, very successful. You also said at that time that no vendor has an end-to-end solution but you did mention that Adobe was best poised to do that. We identified basically three main buckets of content workflow and eight separate workflow scenarios: everything ranging from creation to curation and aggregation through to governance, legal and compliance. Nobody’s got an end-to-end solution, a content stack in the sense that there are advertising stacks that do it all. Integration is very hard when you’re a company like Adobe building software and then getting it to play nice with all the other software. So, Adobe has the most pieces of the puzzle but nobody has integrated these eight different workflow scenarios into one seamless software solution yet. IBM has not gotten involved. Can you speculate as to why they haven’t? I think IBM is the proverbial 2,000-pound gorilla in this space. I can’t tell you why but if they wanted to do it tomorrow they could. One thing that IBM has invested in very heavily is the social marketing software space: we call it the SMSS. I’m predicting that over the next couple of years the content marketing stack is going to absorb the social marketing software space and we’ve already seen very big players in social media marketing, like Sprinklr, move very aggressively into the content space and that’s just because social media is really just a platform for content. Facebook, Google Plus, LinkedIn: they’d all be empty if it wasn’t for content. So that can be applied to IBM. You could argue IBM is in the space in the social respect if not across the entirety of the stack. Between ad agencies and PR agencies, which do you think has the biggest challenges when it comes to storytelling? I think they both have equal challenges and the reason is converged media. We’re seeing PR agencies, for the first time in history, make media buys; but, by the same token, advertising agencies are terrific at media buying but really don’t look at content as content. They look at content as creative: something to fill space or time in the context of advertising. So, all of these agencies are learning new skill sets and nearly all of them, certainly all of the major ones, have opened up global chains of newsrooms and grand storytelling plays. At the same time we’re looking at publishers trying to be a content marketing agency. This is a way for them to get incremental revenues and they’ve always done this in the context of advertorials, haven’t they? 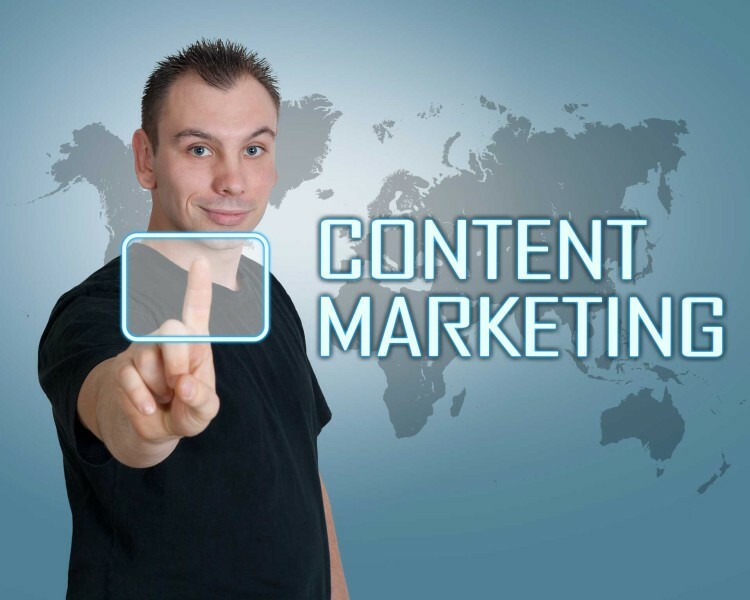 Content marketing: It’s certainly nothing new — it’s been with us since the dawn of marketing — but in digital channels, it’s rapidly changing and evolving. As content changes, so too do the policies, processes, priorities, and governance organizations require to effectively market with content. This applies not only to owned media channels — content has a strong gravitational pull that cannot be decoupled from earned and paid media. Conversations these past few weeks about content with some preeminent brands and marketers have yielded insights worth sharing and pondering. Susan Ridge, vice president of marketing and communications at Save the Children said in a recent meeting, “content is our product.” For most marketers, and for a significant number of brands, truer words were never spoken. As a non-profit charitable organization — and, for full disclosure, one of my clients — Save the Children doesn’t sell widgets or services. They craft stories and evoke emotions that ignite action, involvement, support and evangelism. What organization — even the ones that do have actual products — wouldn’t want the same of their customers, prospects, partners, and stakeholders? Twitter, Facebook, and Google now offer ‘Buy’ buttons on specific types of content, another indicator of the blurring of paid, owned, and earned media. This means content will increasingly be measured by its ability to convert, whether conversation (which is a desired action) is to bring customers in-store with inventory information, serve in an e-commerce capacity, or some other transaction of money and/or information. Still, it’s important to bear in mind that selling widgets is not the only KPI for content. Far from it. As I’ve previously mentioned, marketers are far too uncreative when it comes to establishing business-oriented KPIs for content. Please combine transactional functionality with other business metrics that matter, and that have dollar value. As visual and audio-visual content continue to rise in prominence thanks to the pervasiveness of mobile, designers, content creators, and UX experts will rethink orientation. Most print and banner images are oriented — and intended to be “read” — horizontally. Phones and handheld devices flip, of course, but the most intuitive interface, particularly for content snacking, is vertical. Plan accordingly. This is not a new notion, but as more brands pile on to content marketing, it is a strategy worth repeating. The brands most successful in content marketing don’t talk about themselves very much. Everything General Electric does, for example, ladders up to “Ecomagination.” IBM’s concept is “Smarter Planet.” What’s yours? It should inspire and command interest, as well as involvement. It’s what the intended audience cares about. Content is too big, too important, and too ongoing a need to leave to happenstance. Putting organizational structure around content initiatives across paid, owned, and earned media is no longer a luxury, it’s a necessity. And it needs to be connected with the entirety of the enterprise. This week, Chris Murphy, managing editor of adidas’ newsroom, shared that he has no fewer than eight counterparts worldwide, and that the company moved media buyers to Portland (where he is based) so there can be closer collaboration between the media and content teams — in real-time. On a personal note, I’m putting my money where my mouth is on that last point. This week I joined Teradata Marketing Applications as vice president of content marketing. I look forward to continuing to share insights and experience on content marketing and content strategy as a practitioner instead of as an analyst. Some readers of this column are old enough to recall “I want my MTV!,” one of the most successful branding and awareness campaigns in media history. I do. I wanted MTV, too, but back in that primitive era, my first Manhattan apartment wasn’t yet wired for cable, so no dice. Fast-forward: not only did I finally get cable, I worked in cable. I held senior marketing positions at a handful of networks before leaving television — both the profession and the connection — behind for the brave new world of digital. Or so I thought. Suddenly, there’s ever less discernable difference between television and online programming. The options are as dizzying as the satellite multiverse: Netflix, Hulu, Netflix, Hulu, Roku, Amazon, Chromecast, and Apple TV. Last week, NBC streamed the Super Bowl (free) for the first time to all comers. CBS launched All Access, a standalone streaming service delivers hit shows and the back catalogue for $5.99 a month, and HBO is poised to go well beyond its cable-bundled HBO GO streaming service by delivering a standalone service this April. 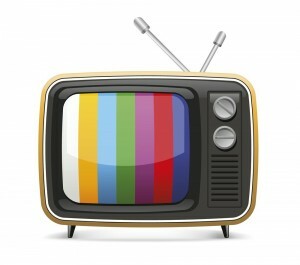 Television isn’t going away any time soon, but its delivery method is changing at warp speed. According to one study cord-cutting exploded from 25,000 unsubscribers in a 3-month period in 2013 to 150,000 in that same period last year. U.S. broadband-only homes are currently at roughly 10 million. Sony, DISH, and other providers are racing to bring broadband-based television platforms to market. Their goal is not only to attract cord-cutters, but the legions of households that will never have had cable or satellite to begin with. Bottom line: the screens that television are delivered to in the very near-term future will be no different from the ones used now for the web. Screens are screens, and programming is programming. It was mildly amusing to hear reports last week of filmmakers at Sundance holding out for “real” studio deals rather than sign with Netflix or Amazon. Because really, what’s the diff? Television won’t go away, nor will feature films. But when we experience them on digital screens, small or large — the same ones connected to our computers, gaming systems, smartphones, tablets, and even the Internet of Things, things will change — rapidly. All advertising will be digital, therefore addressable. Brand experience will fragment across a multiplicity of devices, necessitating tight content strategies and unity of voice and tone, look and feel, in order not to deliver fragmented, discordant messaging. Media choices will become harder because there will be ever more channels and form factors. Personas will multiply — this week, Lexus is launching more than 1,000 videos on Facebook, each tuned to a different target. Very soon, almost before you know it, advertising to television audiences will differ only very slightly from advertising on the web. Audiences won’t recognize the difference between the channels, nor will they care. Read more about When All Media Are Just Media, What Happens to Advertising? Another year, another line up of very, vey expensive ad spots on very, very expensive TV inventory. As staggering as the numbers are: $4.5M for a 30-second media buy (most spots are 60 seconds), creative, production and A-list celebrities (did Carnival have to pay JFK’s estate or is that speech in the public domain one wonders? ), there are layers upon additional layers of digital marketing investment associated with Super Bowl advertising. Web sites, app development, war rooms, social media investments, “making of” and other additional video assets. Herewith, some takeaways from this year’s #BrandBowl. RTM Goes Dark: The Super Bowl and real-time marketing have been synonymous since the game two years ago, when the lights went out and Oreo’s infamous tweet went viral. This year afforded brands no such opportunity, but consumer real-time reactions were overwhelming dark and directed at Nationwide. According to Amobee, there were close to a quarter of a million social mentions – the overwhelming majority negative – about the spot featuring a dead little boy reflecting on all that he would never grow up to do. So negative was the sentiment that the company issued a statement the following morning defending the spot, saying it wanted to “start a conversation” about safety. The Art of the Tease: $4.5M is a lot of money to pay to air an ad that, effectively, has a broadcast life equivalent of a fruit fly. One obvious strategy that has become de rigeur in recent years is to accord the spot perpetual life – and views – on YouTube. Budweiser went one better this year by sharing its hyper-adorable “Lost Dog” spot before the big game, scoring close to 30M views on Facebook and YouTube before Sunday. Far from losing by giving it away, the earned media buzz was palpable. You could almost hear America collectively shhh-ing one another Sunday night, “Quiet, you guys – you have to see this one!” #Win. Thanks, social media. What calls-to-action? Superficially, it looked like the #HashtagBowl, but Salesforce.com’s Jeff Rohrs published some excellent comparative statistics on the decreasing calls-to-action in Super Bowl spots. Fifteen years ago we were shaking out heads when Super Bowl advertisers didn’t bother to insert an URL. This year, as Jeff points out, when there was a call-to-action such as a hashtag in a spot, it tended to appear on the screen for a mere second. That advertisers can be so nonchalant and fiscally irresponsible when it comes to engagement, amplification, and moving consumers down the funnel into other brand touches boggles the mind. The Short Purse-strings Approach Rather than advertise, many brands chose to be there to maintain relevance and relationships with their audience during the big game. M&Ms knows it can’t top two years ago for a while, at least, but still engages via Twitter. AT&T responded to users mentioning rivals (and advertisers) Verizon and T-Mobile during the game. 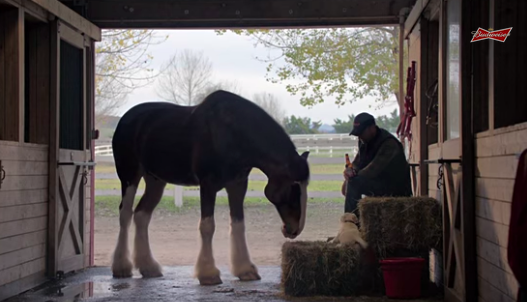 The most notable brand exploiting the Super Bowl with zero media buy may have been PETA, with an animal rights Twitter comment on every spot and game moment. The organization compiled these into a blog post Monday morning. Cord-cutter stats: NBC allowed PC and tablet users to stream the game this year, but that meant not seeing the ads, or at least seeing them on a separate page just after their aired on broadcast. The Super Bowl is a pretty social event, but it would be illuminating to see how many viewers stream, and how that stream swells, in coming years. Streaming will change the game. It’s hard to multitask on a tablet, cumbersome to watch and tweet and Facebook even on a computer (my personal viewing experience last Sunday – some of us are deeply grateful for the football-free experience). It should be noted that NBC did not allow phones to stream the game. Squarespace’s Dreaming with Jeff campaign: The year’s most baffling spot, and one of the few that sent viewers to a web site (rather than encouraged social media resonance). Wonder how many people visited, and bought the album? 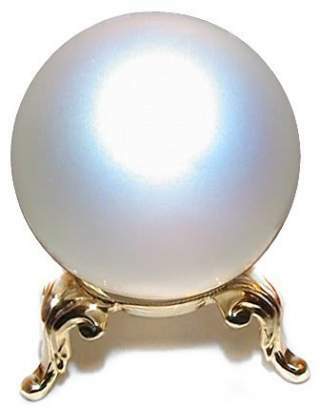 What you could get elsewhere for $4.5M? The WSJ has a sobering take. Content strategy and content marketing are where a great deal of my time and attention are focused as an analyst. Last month I discussed the trends in that sector that my research indicates will expand in 2015. But wait — there’s more. Not only around content marketing, but around technology, channels, media and advertising, that bear watching this year, either because they are at the beginning of the disruption curve or about to hit its peak. Here’s what I, as well as many of my colleagues, will be watching this year with interest and curiosity. There’s plenty to be fascinated by in this emerging sector: wearables, smart devices, new equations of interoperability and integration, and of course lots and lots of new types of data. I’m also having many fascinating conversations with my colleague Jessica Groopman about her ongoing (and soon to be published) research on the IoT related to use cases for connected devices, and to a lesser extent, what kinds of content surround and are generated by the IoT. This represents the tip of a very big iceberg that will garner much attention this year — and for the next decade, at least. Again, credit due to a colleague here. Drawn from her inspirational TED Talk, Susan Etlinger is researching an important and too often overlooked aspect of big data: its ethical implications. From data collection to communications (remember Target telling the father that his daughter was pregnant based on her buying pattern data? ), Susan has pinpointed six broad categories, each with a host of specific areas, in which brands will be challenged with unprecedented ethical choices and policy issues. As more data stream in from areas such as the IoT, big questions will continue to swirl around big data. In late 2013, I published the first research on the topic of native advertising. Native is still new and still disruptive, but this year we’ll see it normalize. Every major and reputable digital publisher and social media platform now offers native advertising products, and more formats are rapidly being developed. At the same time, policies, guidelines, ethics and technologies are not just springing up, but are also maturing. I predict that this year, native takes its place at the table as a critical and permanent component of digital marketing and advertising. A couple of years ago, together with then-colleague Jeremiah Owyang, I looked at how paid, owned and earned media are overlapping and combining to create new forms of media that, to consumers, are just…media. Distinctions between advertising, content, and social are blurring, if not dissolving. The same is beginning to happen with media channels. Is it radio? TV? Digital? Print? Is it projected or is it streaming, and do consumers care? (My hypothesis is that they don’t.) When all media can be consumed on all devices (large or small screens, phones, billboards, watches), what are the implications for media? Entertainment? Advertising and marketing? Mobile is TV is digital is audio is news is visual — portable, mutable, large and very, very small. Those are the four trends I’ve got an eye on this year. What are yours? Let me know in the comments. 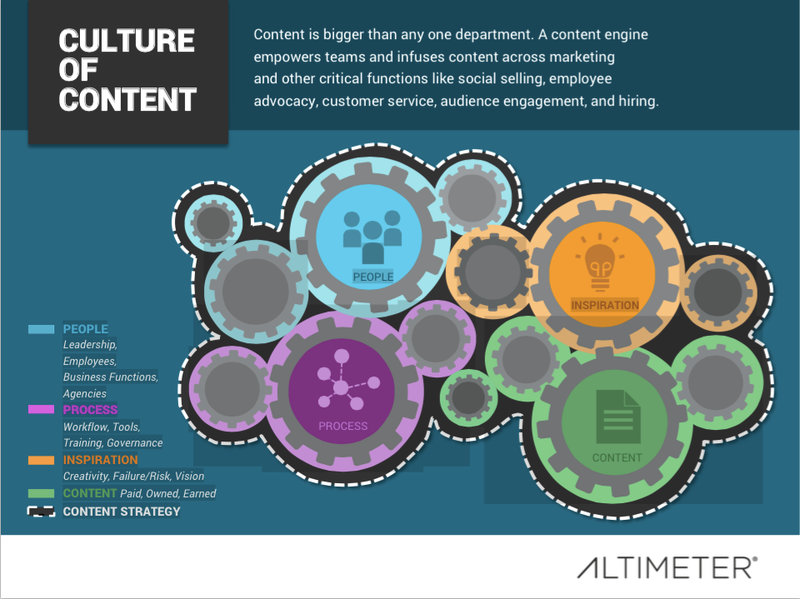 What goes into creating and fostering an organizational culture of content? As an analyst that’s the topic I’m currently researching. Broadly speaking, organizations that have fostered a culture of content have spread the importance of content beyond the marketing organization. Content education, evangelization, creation and distribution flows upwards and downwards, from the C-suite to the shop floor. Marketing gets content flowing out into the organization, but also fosters a circulatory system in which various divisions across the enterprise: sales, recruiting, customer care, product groups, etc., are creating, inspiring and leveraging content to better fulfill their roles. We visualize this as an engine, one comprised of gears and cogs, contained in a strategic infrastructure. There are four primary components to the content engine. People Beyond the content or the marketing staff, people are critical to this machine’s success. Leadership understands the value of content and fosters it. People across the organization are tapped for their ability to create content (this needn’t be complicated – it can be as simple as the occasional tweet, or capturing images with a cameraphone). They understand and can identify stories that can be turned into content by other creators in the company. People can also be outsiders: agency and vendor partners, for example. Process Process involves many tactical elements – it’s what gets content done. Tools, technology, workflow and governance documents are just part of what creates process. So are editorial calendars, editing guidelines, metrics and analytics, as well as well-defined roles and responsibilities. Process also involves training, education and evangelization. Content The content engine begets content, but it also ingests and distributes it, creating a circulatory system of content that can be re-used, re-purposed and re-aligned across paid, owned and earned media channels and platforms. This engine helps content to beget content: creating more of what resonates, repurposing strong content into different channels and form factors, and distributing the right content to the right people across the organization. No two content engines look exactly the same, but we believe this to be the overall schematic model. Agree? Disagree? Let me know, and help contribute to this research. Recently, I was chatting with the CEO of one of the leading digital agencies. Talk turned to competitors, and I asked what firms his firm found itself bidding against most frequently. Usual-suspect names cropped up (Digitas, Sapient Nitro). But so did PwC, a name that would have never cropped up in the same discussion five years ago. Neither would Cap Gemini, or other old-school consulting firms. But they’re increasingly common today. Even IBM is an agency now! Recently we, at the research-based advisory firm I work for, were in the consideration set for a project and asked to submit a proposal. Some of the other organizations the client was considering for the project included an independent content marketing agency, a holding-company owned PR firm, and one of the world’s largest advertising agencies. Who ya gonna call? These days, clients honestly seem to have no idea. Strategy? Execution? Advertising? Social media? Content? Digital experiences? 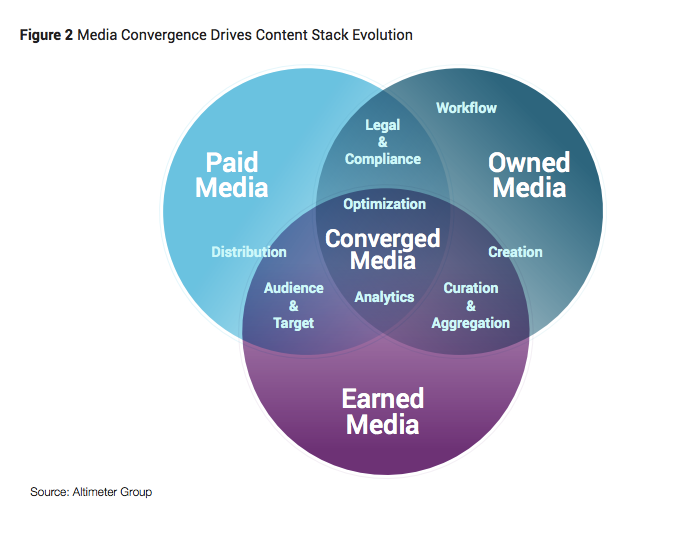 This new up-for-grabs state of the competitive landscape is a byproduct of converged media. When advertising marries content marketing and becomes native advertising, or social media merges with media buys, or user-generated content and community become essential to an owned-media presence, then who’s driving? Who’s riding shotgun? Not long ago, I asked close to 70 very high-level marketers, most at Fortune 100 companies, where they outsourced content marketing responsibilities. Did they engage ad agencies, PR agencies, social media agencies, the new breed or storytelling agencies, the custom content divisions of media companies, or “other” to handle content creation? Interestingly, their answers were spread entirely equally across the board (with one verynotable exception: every single one of them said they would not entrust content duties to a social media shop). This is a tough and transitional time for clients and agencies alike. More and more, we’re seeing clients who are asking for execution before strategy. Who are uncertain of desired outcomes. Who often look to agency partners with one field of expertise to assist them in areas in which they have little or no experience. Who remain looped in an RFP process that lasts much longer than expected because they’re uncertain which type of candidates to vet. Then, they find themselves making apples-to-oranges comparisons when they receive responses from a wide variety of candidates, ranging from agencies to consultancies to PR, search and social media firms. Marketing professionals, too, are challenged to respond to RFPs from prospects unsure of what they want or need, much less who might be qualified to supply it. Arguably, there’s been an education gap in needs vs. wants for as long as there’s been digital marketing, but never more so than now. This will shake out. Agencies are aligning and partnering (you do the strategy, we’ll do the execution). Clients will gradually gain a deeper understanding of what types of organizations have expertise in which types of work. But at present, it’s a competitive free-for-all out there, a world in which it’s hard to understand who — or what — you’re up against. Content stacks are necessary to consolidate the eight content marketing use cases identified in research we’ve just published on the content software landscape. No use case is an island. As organizations mature and become more strategic in their content marketing initiatives, it becomes imperative to seamlessly link execution to analytics, or optimization, or targeting, for example.